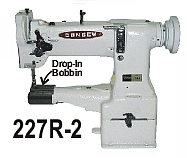 Consew 146RB-1A Zig-Zag Walking foot industrial sewing machine. 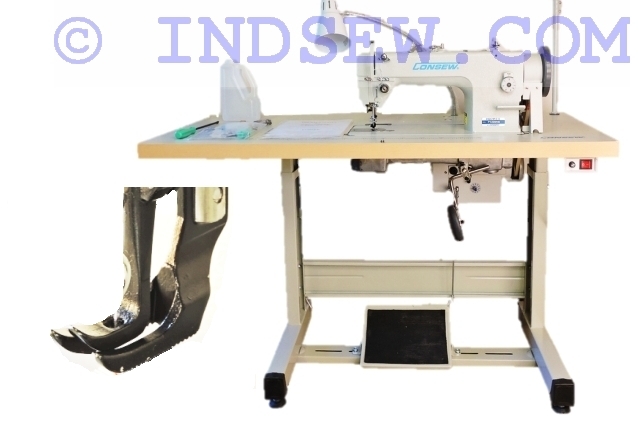 Heavy duty walking foot Zig-Zag sewing machine. It is a tough choice to make - between other straight stitch sewing machines and this one that can do both straight and Zig-Zag stitches. This machine combines walking foot compound feed mechanism and the 25" long arm. 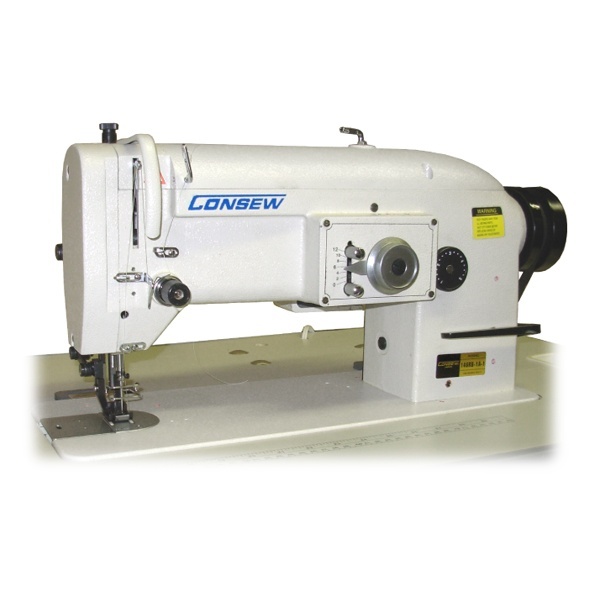 It allows to sew large pieces of material adding more versatility to this great machine. 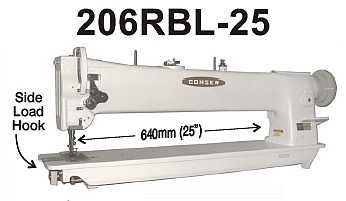 Consew 146RBL-30-1A 30" Long arm Zig-Zag Walking foot industrial sewing machine. 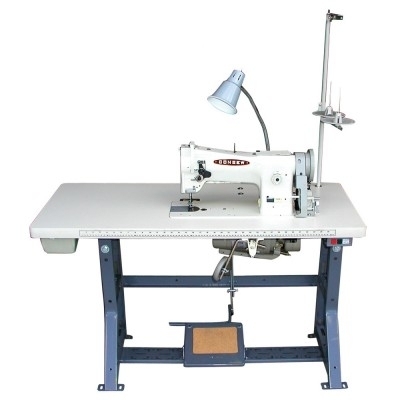 Heavy duty walking foot long arm Zig-Zag sewing machine with 30" arm. It is a tough choice to make - between other straight stitch sewing machines and this one that can do both straight and Zig-Zag stitches.